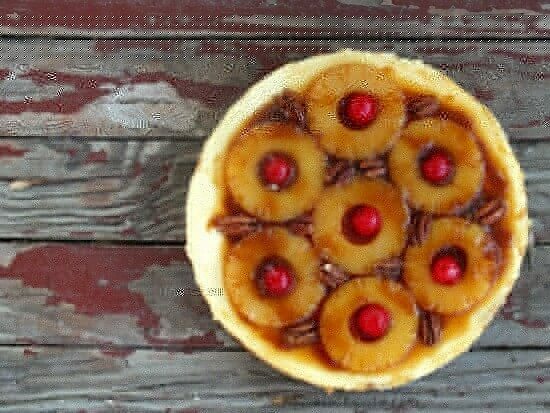 My first introduction to cheesecake, at least that I can remember, is the pineapple cheesecakes that my mom used to buy the Saturday nights it was her and Dad’s turn to host the weekly card game with three other couples. It was the 1960s and getting dressed for dinner, inviting people over to play cards and drink scotch, and serving fancy food was very trendy. I really miss those days. I loved to watch my mom get ready for a party – she seemed to be so much better at it than I am now. She would carefully cut ring bologna, salami, and cheese into uniform size cubes and put them on fancy toothpicks. She’d cut the bakery purchased, pineapple cheesecake into squares and put them on pretty dessert plates with matching coffee cups. When all the food preparations were done she would head up to her room to put on a dress and lipstick – I thought she was beautiful. My dad would put on a “casual” shirt that was always long sleeved and buttoned up the front. it was casual because it wasn’t white and he didn’t wear a tie. He would set up the bar as carefully as mom set up the food because he would be drinking martinis and one of his closest friends would be drinking scotch on the rocks. I can’t remember what the other two men drank – beer I think? Whatever it was it did not make an impression on me. I can remember being so sleepy and sitting on Dad’s lap, my head pressed against his chest. His heartbeat would get louder and louder and the laughter and conversation would become a buzz in my ears – then I would wake up in bed and it would be morning. Since I was an early riser I crept down the stairs and created my own breakfast from the scraps of cheesecake that were still on the table and the martini soaked olives that were still in the martini glass. That, my friends, was the 1960s. For real. Whenever I see pineapple cheesecake in a bakery I am whisked right back to the laughter and noise of those card games. 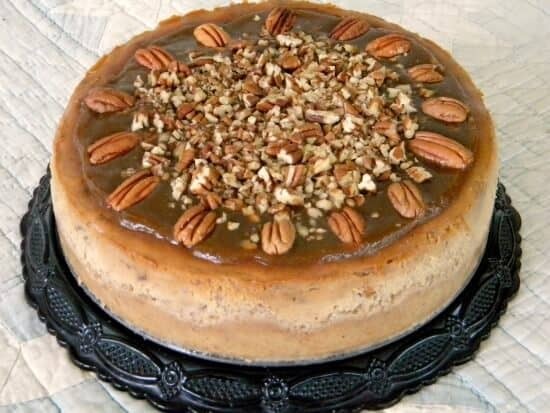 One of my family’s favorite recipes is Pecan Praline Cheesecake. 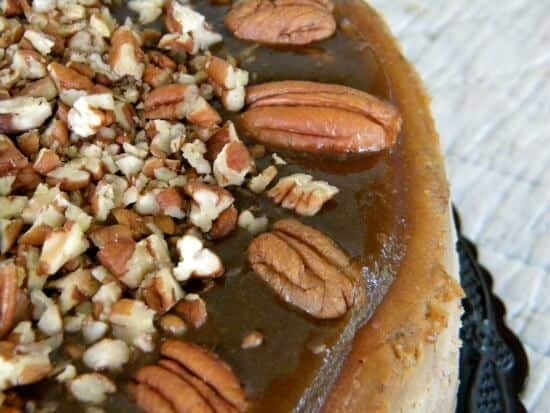 It is rich with pecan flavor and topped with a glaze that is basically a melted praline. One of my very best friends, who happens to be from Louisiana, says that it tastes just like the pralines that she gets there. Except she calls them prah-LEENS. Being from Texas as well as having an ornery streak I call them PRAY-leens. Partly because that is how I have always pronounced it and partly because I like to make her roll her eyes at me – that’s where the ornery comes in. I have said this before but it bears repeating with every cheesecake recipe. If you want to end up with a dense, creamy cheesecake you have to mix it on the lowest speed possible. If you beat it too much it will get air whipped into it and that will mess up the texture. That is one of the reasons it is very important ..VERY IMPORTANT… to let all the ingredients come to room temperature before you start. 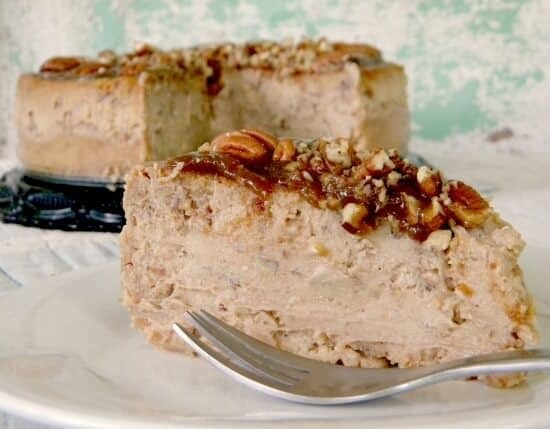 A rich, dense cheesecake filled with pecans. True praline flavor all the way through. Mix the cookie crumbs and butter and then press the mixture into the bottom and up the sides of a 9" springform pan. Bake at 375F for about 10 minutes. Beat cream cheese and sugar at slowest speed until it is mixed well. 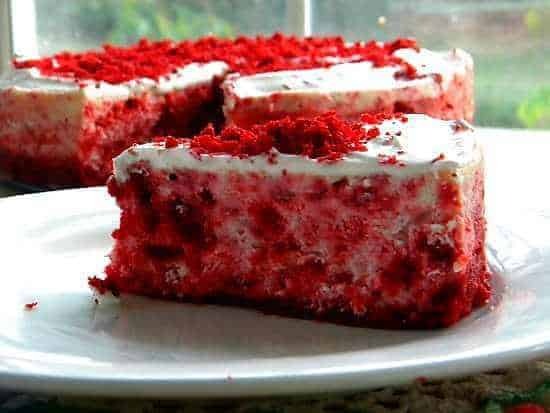 Do not whip it - air will get in the batter and it will lose its dense texture. Fold in vanilla, pecans, and sour cream by hand. Pour into a prepared crumb crust in the 9? springform pan. Make sure the foil is still securely around the pan. Place in a bain marie at 375 for 45 minutes. Turn off oven and let set for one hour. Do not open the door! Remove cake from oven, take off foil, and let come to room temperature. Melt the butter and brown sugar together in a small pan, stirring until butter and sugar are melted together and sauce is bubbling. Pour over top of cooled cheesecake and sprinkle more chopped pecans (or arrange pecan halves) on top. Just before serving run a knife around cake and remove from pan. A bain marie can be created by putting the springform pan into a larger pan and pouring hot water in the outer pan until it comes half way up the outside of the springform. Be sure to put aluminum foil over the bottom and up the sides of the springfrom to keep and water from seeping into the crust. Check out the other great recipes on Meal Plan Monday! This cheesecake is delicious, but I found the measurements to be just a touch off. The “little bit more” butter in the crust was a little too much. In your defense, I should have done a trial run before making this to take somewhere. Again, it’s so delicious and will become my favorite go-to dessert from now on. Thank you for all of your wonderful recipes! 🙂 It was such a great time to be a kid! My mouth just started watering. This cheesecake looks incredible! Thanks Trish! It’s one of my favorites. Originally from Georgia, I can’t say no to pecan anything, especially cheesecake! Swoon. The praline flavor really comes through here. Go Texas – I say PRAY-leens too!! This looks outstanding – just like a version I had in New Orleans once. Oh to be a fly on the wall at those card games. 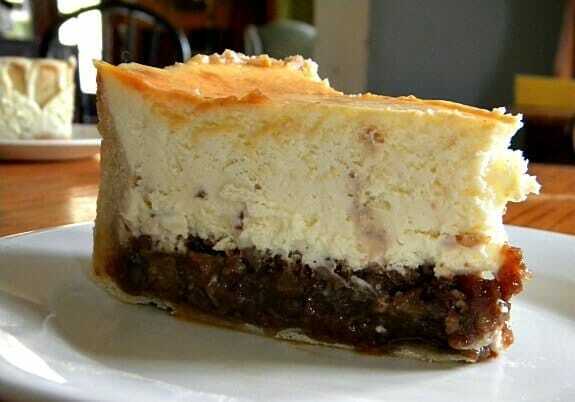 And now I would like a slice of that divine praline cheesecake! WOW! I love the presentation with this cheesecake. Absolutely gorgeous! Now that’s a gorgeous cheesecake. 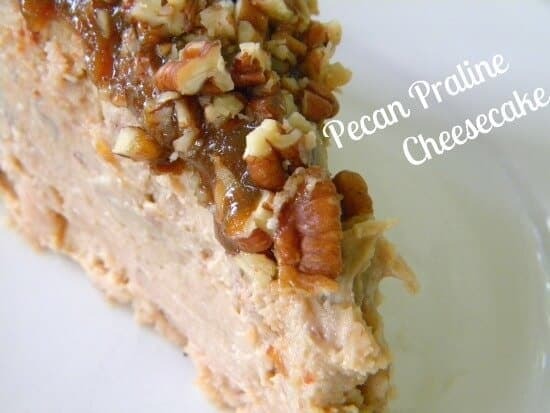 I love the taste of praline pecans, and I bet it would be a wonderful sweet/salty combo with the cheesecake. Loved your tip about low and slow with the mixer. Makes a lot of sense. I think I always do mine too hgih. Yep, if you don’t whip in the air it is dense. So good.